If you’re like most men, your hair is something you aren’t completely sure about! Maybe it never really occurred to you that a new shaggy hairstyle could be a fashion statement or a way to express yourself like a new outfit or a really cool pair of shoes. Well, it is and there have never been more hairstyle choices for men of every age and personality. And, for the hippest of you, there’s the latest trend – shaggy haircuts. These strategically-unkempt cuts will give you that carefree look you like without the hassle of a more high-maintenance ‘do. You’ll want to start with a great cut by a skilled stylist. Don’t get scared off if they come at you wielding a straight razor, they may use this great tool to give you a less exact cut to add to the look. There will also be considerable hair on the floor beneath you (especially if you have longer hair). This is because of the layers your stylist will need to cut into your hair to help give you a shaggy look. They may also use thinning shears on your hair if it’s thick to give some added dimension to your style. Maintenance – You’ll want to go back every 6-8 weeks to have this look maintained by your stylist or it may go from hip to hokey. Age-appropriateness – You may need to adjust your shaggy style based on your age. If you’re a bit older, you can modify the look to keep it both modern and age appropriate. Never think you’re “stuck” with your current look and never feel as though you can’t talk to your stylist when you want to change. If they aren’t listening, you may want to switch stylists and find one more open to your desire for change. Your hair says more about you and your lifestyle than you think and a hair “makeover” can be just the thing if you feel you’re in a rut. 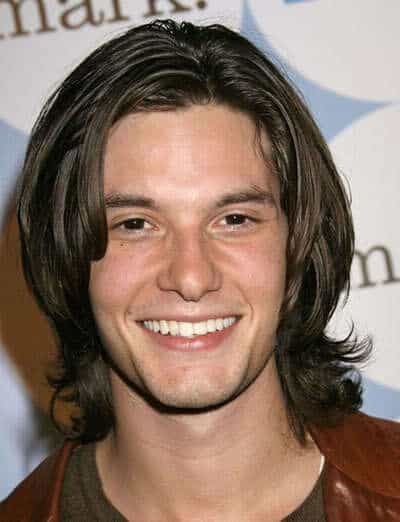 Once you’ve achieved your perfect men’s shaggy hairstyle, you’ll be surprised at the reactions from friends and family as they take note of this flattering look. Layering the hair with choppy layers really helps accentuate any shaggy hairstyle. Ideal for: Oblong, triangle, diamond and heart-shaped faces. How to Style: Hairspray will be your best friend here so blow dry the hair from the back to the front to ensure you get that sweeping motion. Douse with strong hold spray and tease into place using your fingers. Undercuts are a great way to add some extra definition to your shag hairstyle. How to Style: This is a great hairdo of two halves – with the neat undercut and impeccably done shape-up around the ears and temples. The top of the ‘do is finished off by being scrunch dried with mousse to accentuate those curls. 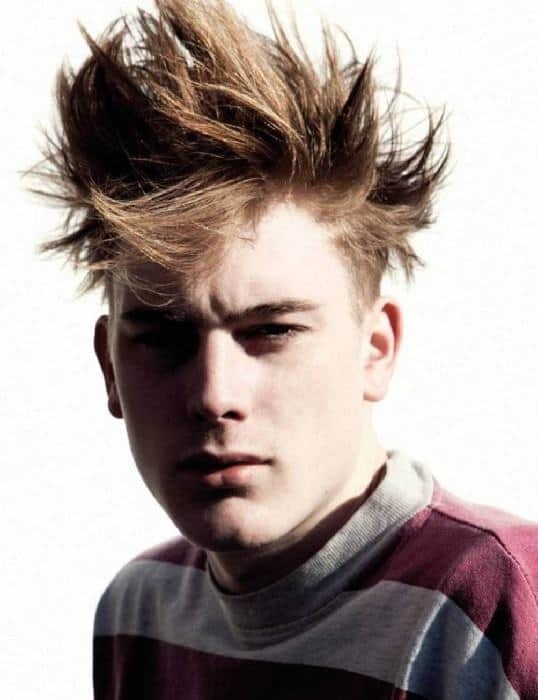 A modern take on the traditional bowl cut is created by varying lengths and layers which makes for a shaggy ‘do. How to Style: Although this is a shaggy style some actual effort is required. That purposefully uneven cut is highlighted by straightening the hair to show it off. Run the straighteners over the hair, adding serum to finish for a glossy sheen. You will have to top-up on the hairspray to get this look nailed! Ideal for: Oval, square, oblong, triangle and round faces. How to Style: This men’s shaggy layered cut is brought to life by drying the hair upside down for added volume and backcombing at the roots for extra height. Super strong hairspray will fix this masterpiece in place. A side-part is a clever way to frame a face but also make a style more casual and laidback. How to Style: The unkempt parting and tousled curls make this a very stylish and modern look. Simply add a lightweight serum to prevent frizz and enhance those shiny locks. 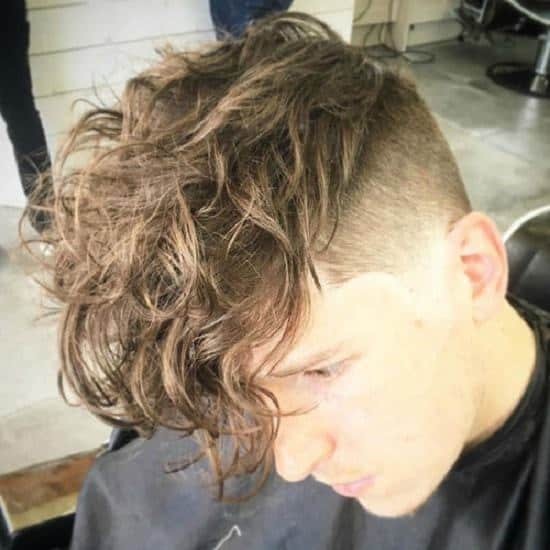 Fine and thin hair can sometimes look very undramatic and dull, but with clever styling and coloring, you can create something very unique. How to Style: This type of hair is craving fullness and volume and that is achieved by the asymmetrical cut and use of two-tone coloring to enhance the body. The tousled hair across the crown of the head adds to its overall charm and is set in place with a dash of mousse. Super curly hair can sometimes look boxy when cut short. By adding layers, you can avoid that and cultivate a very trendy shaggy hairdo for men. How to Style: By cropping the hair into layers, slightly shorter around the crown and longer around the forehead and temples, you can achieve a great style. This is not one to fiddle with too much – however, add some taming serum if your hair does get frizzy. 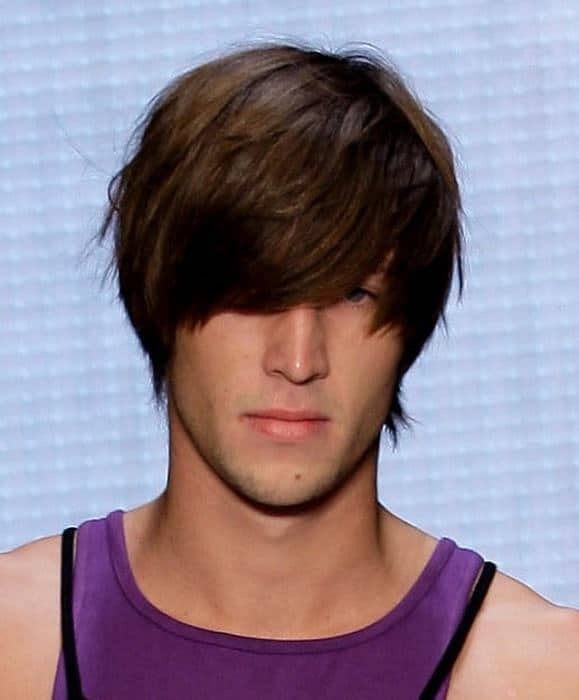 This is a very boyish and charming crop that is given an edgy vibe with its tousled bangs. How to Style: The long sweeping bangs are cut from far back in the crown to create that lovely long layered look. Roughly dry using some pomade and your fingers for a messy bed head look. 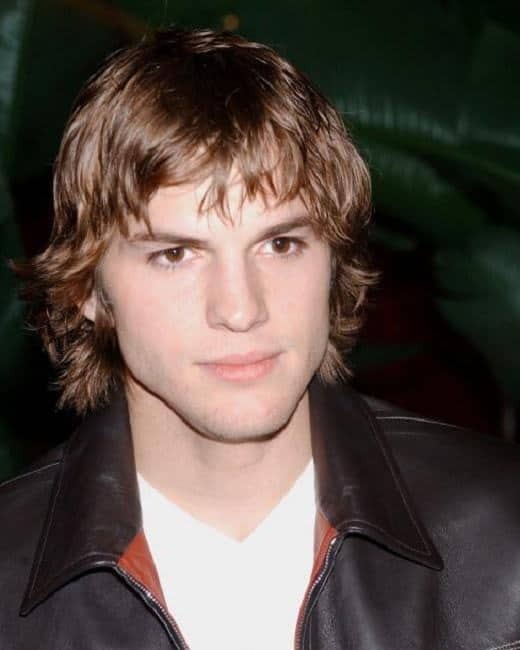 This is a great look for those boys with thicker longer hair that want to rock the shaggy hair. How to Style: This unkempt hairdo is enhanced by the very neat sideburns and tailored beard. Blast the hair with a hairdryer while your head is upside down for additional volume. Backcombing the roots will enhance the body and texture of the hair. Hold the locks in place with a strong hold product. This is a great take on a traditional mullet with the hair being shorter at the top and longer towards the back. How to Style: This fine hair is brought to life thanks to layering and a sweeping fringe with added volume and body around the nape of the neck. Pairing the hyper straightened bangs with the natural curl rear makes for a very dynamic style. This mop is the epitome of a shaggy and modern hairstyle that makes the best of the natural curls. How to Style: The long natural bangs and well-layered length makes the best of this hair type and creates an easy to manage daily ‘do. Simply add mousse through the hair when damp and either leave to dry naturally or give it a quick blast with the hairdryer. Those beautiful flicks are reminiscent of the 1970s, but the rich hair color and less manicured look make this a very modern style. How to Style: Straight hair can be given a new lease of life by tonging the ends with a small barrel curling iron and then gently combing through for a less structured finish. 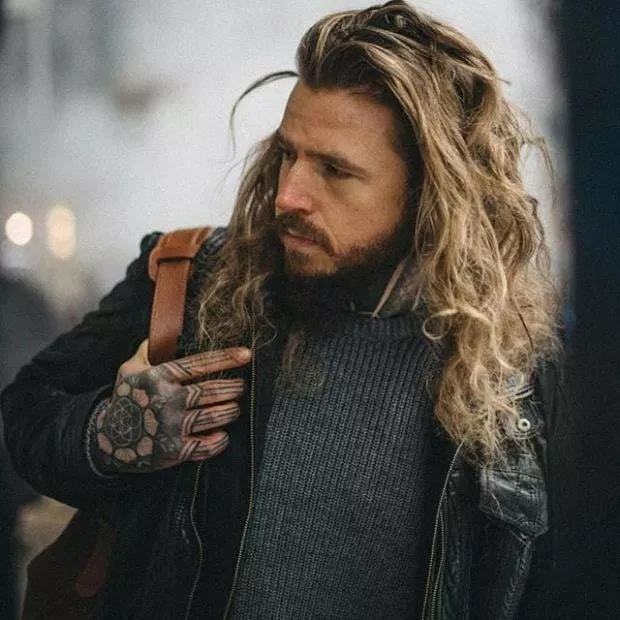 This Shaggy mid-length hair for men doesn’t have to mean you are battling with it in your face every day. How to Style: Achieve that more reserved look but still rock that unkempt vibe by styling the hair back from the forehead. This is a good way to keep those errant hairs out of your face while also enabling you to enhance your best facial features. Clever shades of blonde can often boost that laid-back beachy vibe, as is done here with these warm sun-kissed tones. How to Style: Thick wavy hair is given some added oomph with a blunt jaw length crop and a golden colored hue that complements the skin tone. Amend the parting to suit your face shape or, if you really want to go all-out shaggy, then just leave your hair do its own thing! 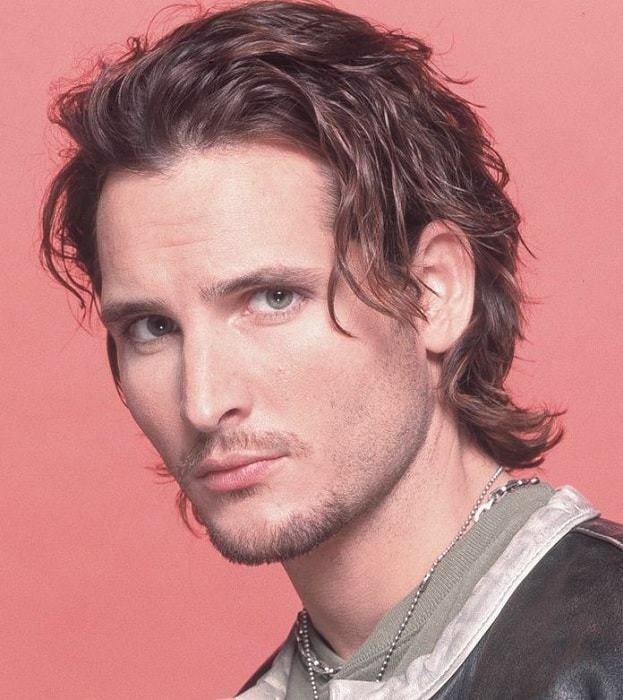 Men’s Shaggy hair can sometimes bring otherwise dull hair a new dimension, giving life to thin and lank locks. How to Style: Extra body and volume are given here with those sweeping and imposing bangs that almost cover the forehead. Choppy layering around the sides of the head gives the illusion the hair is thicker than it is! 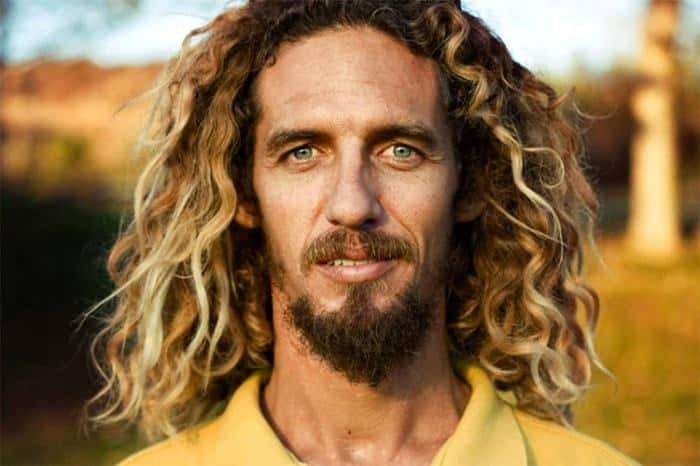 For a full-on shaggy style why not pair your unkempt hair with an uber-trendy beard? How to Style: This is a long hair with beard look to be careful with as you want to look hipster chic not scruffy! So, either go for a more styled hairdo and shaggy beard or vice versa! Beautifully thick and curly locks are given an extra lease of life thanks to the dynamic two-tone coloring. How to Style: Those naturally dark roots purposefully sit next to the blonde tones making for a jarring yet unique and quirky look, giving a shaggy relaxed yet stylish vibe. Curly hair is a perfect match for those who want a super shaggy hair look – so if you rock the ringlets then embrace your hair type! How to Style: Layers, layers and more layers are the best way to achieve this look to stop it from looking more like a helmet. Mid-length hair makes for a perfect pairing with soft natural curls. This is a very 80’s inspired rockstar style but it still remains a classic look! How to Style: Leave those locks to do their own thing for the ultimate shaggy long-haired look. If your hair is prone to frizzing, then adding some mousse before drying will do the trick. However, less is definitely more in this case. Updo’s like topknot or man bun are still trending in the world of men’s hair but not everything is about being sleek and precise. How to Style: Why not pair your messy hair with your man bun for the definitive in all trendsetting styles! Loosely pin the lengths of your hair back and tease the front portion to give height or create a more unkempt affair! This shag haircut is all about layers and locks. You get multiple layers that give you a messy look. No matter what the hair quality is, layered haircut suits men with all hair types. This also lets you experiment with your hair that includes straightening or coloring your hair. 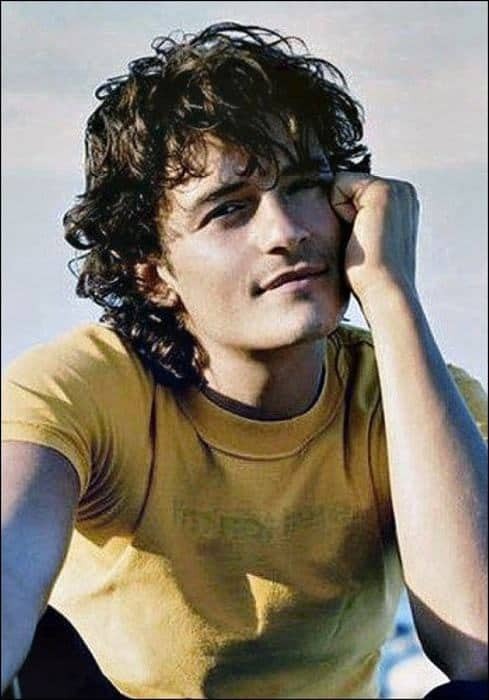 If you have a shaggy haircut, it doesn’t necessarily mean it has to be messy or rebellious. You can get a layered haircut and then comb it properly to get a professional look. Juggle between messy and corporate looks according to the place and people. This way you can wear it to the office as well as any party. It gets a bit difficult to get layers when if you have curly hair. However, if you do get layers, they look stunning. You can go for stepped layers. The fun with curly hair is no matter what kind of layers you have, they will always look neat and tidy. You can get the ends colored to give your hair a funky look. 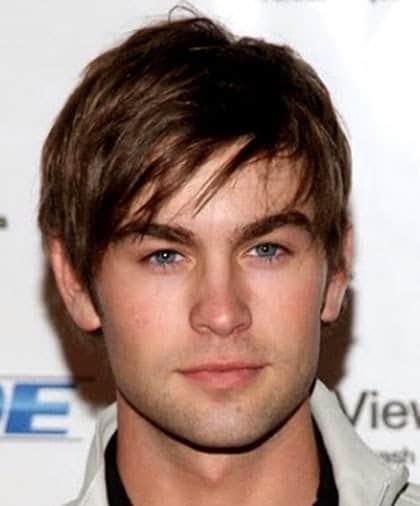 This shag hairstyle looks simply hot on men with straight hair. You can get steps of layers cut. Back brush your hair, highlight your locks if you want and you are sure to make heads turn every time you walk out of your house. Be that cute boy next door with short shag hairstyles. All you need to do is cut your hair short, then make sure you have locks in the middle that can be parted sideways. This makes you look street smart. You can also go for soft curled bangs. Make sure you maintain it well though. 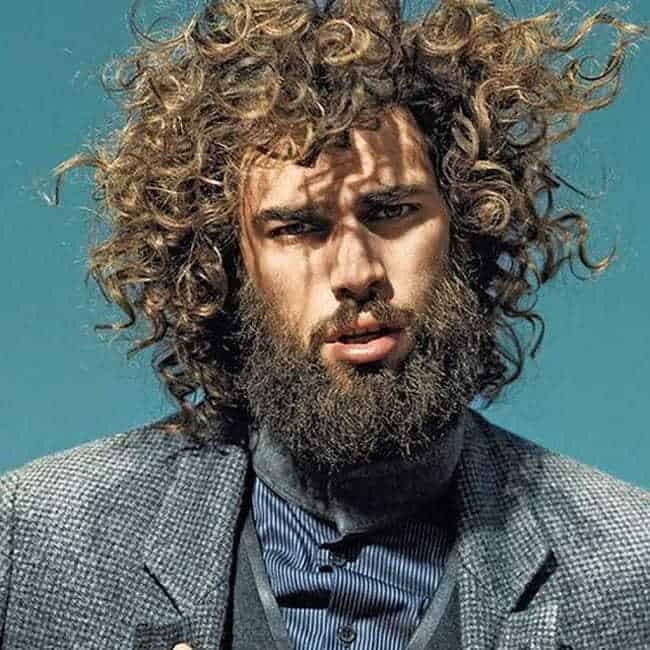 Need a hairstyle that depicts your vagabond lifestyle? Well, you can get shags which are somewhere in between messy and neat. Get the hair cut in a way that is not even. It looks casual and carefree. It gives you that edge as well. You will often find travelers maintain this kind of hairstyles. 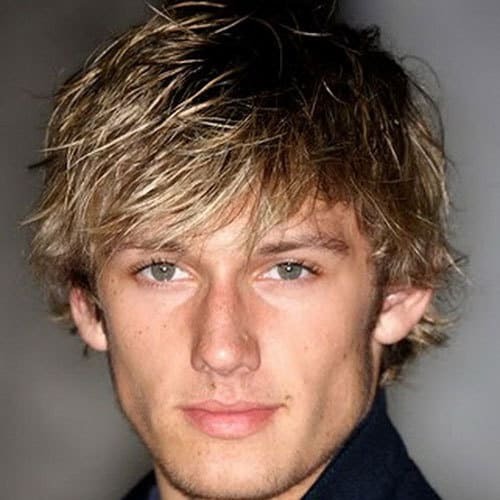 This is one hairstyle you will find in most of the romantic heroes in the industry. All you need to do is get a normal haircut with the hair in the middle kept a bit long. You can then brush these long bangs to one side and look cute and hot at the same time. 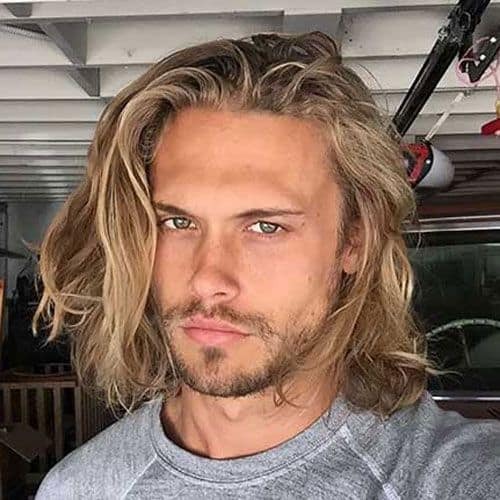 Men with thin hair can actually go for a shaggy hair look. It makes your hair look more voluminous and nice. You can part your hair sideways or even back brush it with other sides cut short and trimmed. You can also pair it up with a lovely beard and you are good to go. This is one particular style you will find men following everywhere. The iconic band had shag hairstyles all their life. The casual nonchalant bangs parted on either side look so cute and smart. This season, get back the retro feel in you by opting for this hairstyle. 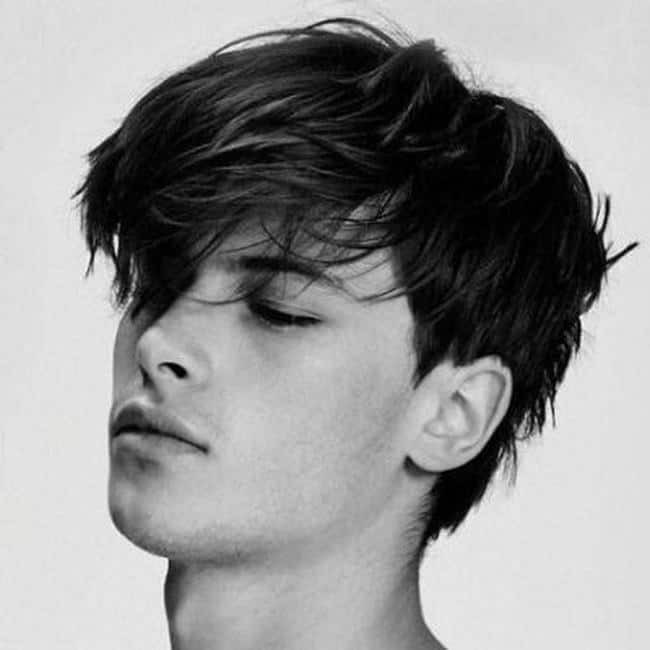 Guys who have shoulder length hair can go for a shaggy haircut. You can go for stepped layers along with a clean shaved face. 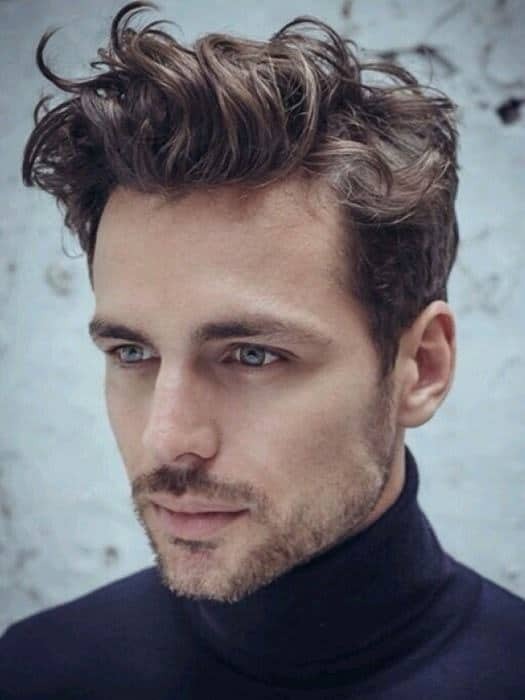 This hairstyle suits men who like to keep it serious and deep. It gives you an overall mature look. One of the hottest hairstyles today is a sort of sassy, mussed look that contains a lot of layers and texture. This texture is put in by the way the hair is cut in layers, with successive layers getting shorter as they approach the crown of the head. This hairstyle is known as a shag haircut. Here, we will take a look at how to cut a shag. First, a shag can be cut with any length of hair; short, medium, or long. Different lengths work with different shapes of faces and features. A stylist can recommend the best length of one’s features. Cutting the shaggy hair for boys can be a time-consuming process. The hair near the crown of the head is cut relatively short. The rest of the hair is cut in layers around the crown that increase in length as we move away from the crown. Some of the shorter hair at the top may stand up, which is partly what makes this style so sassy. Bangs can be left in or cut out, depending on the desires of the individual. With longer men’s shag haircuts, bangs can be feathered back with a pair of scissors to make them easier to keep out of the face. Many stylists will cut the hair to almost the length that is desired in each layer. Then, they will razor cut the ends. This method adds texture and lift to the haircut and makes it look thicker than it really is. 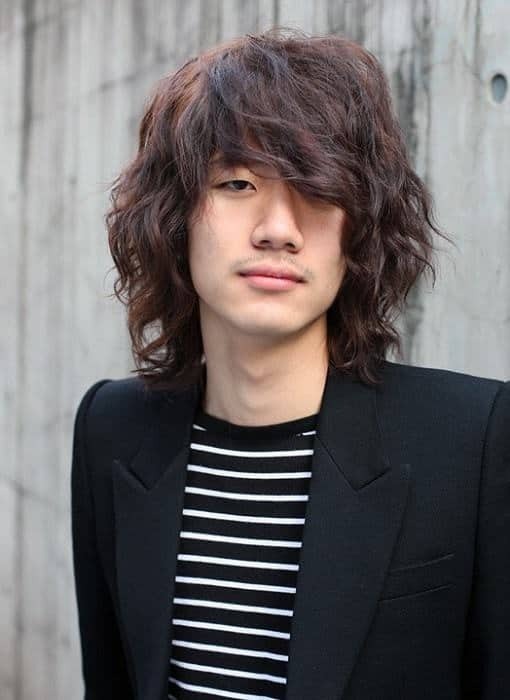 There are some who say that a person can cut their own hair in a shaggy style. The instructions are pretty simple and straightforward, but one would be well advised to have a trip to the stylist scheduled in and another hairstyle in mind should something go amiss. To cut one’s hair in a shag, he must have it grown out pretty long. Then, he must turn the head upside down so that all the hair hangs toward the floor. Pulling the hair together into a ponytail, right at the top of the head, cut the hair in a straight line across with a pair of scissors. Brush the hair back down as normal and there is the shag. Several current stars and celebrities are now sporting styles that are best described as shaggy. Contrary to what you might think. Learning how to style men’s shaggy hairstyle is not accidental. The look has appeal and is obtained by managing your hair. The technical description of the style is a long layer look obtained by using a razor to give your hair a deconstructed appearance. Here are some tips that will help you achieve that shag look. It’s important, to begin with, a quality haircut. The style may look shaggy, but it should never look unkempt. Hair will fall into place correctly when the cut is done by a professional who knows how to achieve the right look. Your hair should always be clean in order to get the best results. Even though you will be adding a styling product to increase fullness and depth, starting with clean hair is vita. Use quality hair care products that are a match for your type of hair so that it is not stripped of oil. Conversely, hair should not be layered with a heavy greasy product. Follow good shampoo with a good conditioner for best results. A styling gel should be applied while hair is still damp. Use a small amount of gel rubbed between your hands then distributed throughout the hair. You should lift and shape the hair with your fingers as you work the styling product from the scalp outward. Continue to lift and fluff the hair until it is dry. You can shake your head vigorously to add interest to the style. You should not get too technical about arranging the hair. When you learn how to style shaggy hair you will find that it is a style that is very easy to maintain. A good cut, regular shampoos, and minimal handling and smoothing will give you the look you want. Can you recommend a new hairstyle? I’ve been wearing this since the late 90’s. Thanks a million. will u plz help me regarding new hai style which is easy to carry!!! My pics r here!! u cn chk dem. hey,here is a pic.i was just wondering what face shape i had. This was exactly what I was looking for. I practically feel like this was written about me! Excellent work and thankyou. 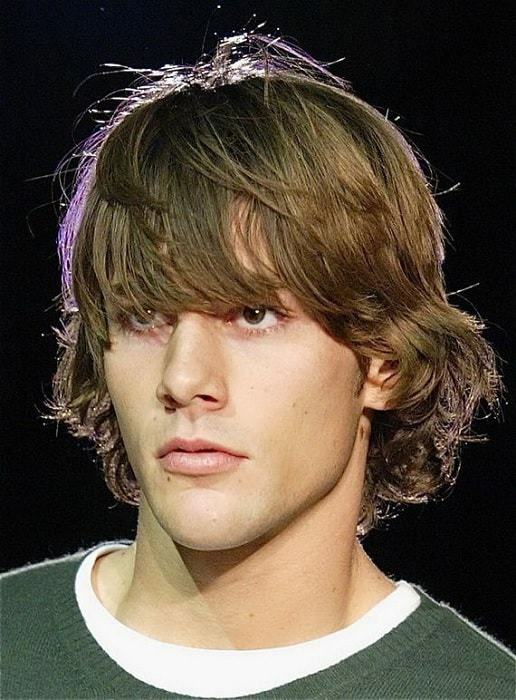 I really love the shaggy hairstyle, especially the Jared Padalecki variations. Just like the article pointed out, it was definitely the style in the late 2008/early 2009 time frame. It was during this time that I saw it worn the most and that I began watching Padalecki on 'Supernatural'. I decided that I was going to have it. So in Feb 09, I started letting my hair grow out. But the problem was that my hair was very very short and it doesn't grow that fast. It took all of '09 and part of '10 to even get it to the length I needed. Now it's September 2010 and I am fully sporting my shaggy hairstyle. But…am I too late? Has the shaggy sensation passed me by and am I just looking hopelessly out of style? I felt I needed to ask this question as I have noticed a severe decline in how many people I see wearing this style as well as the fact that this article pointed out that it's fashion heyday was almost two years ago. Please, I really would like someone's opinion.